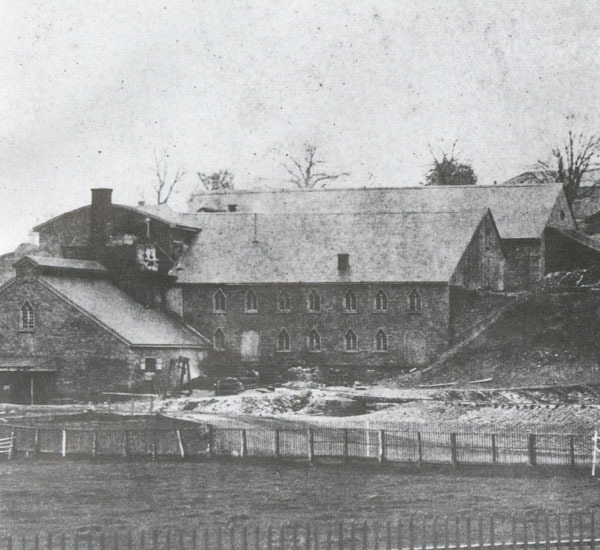 Buildings at Cornwall Furnace were constructed of red sandstone, found in the area. The durable stone construction helped preserve the buildings. Cornwall Furnace is probably the best preserved charcoal furnace in the United States.